Forty-seven species on 1 October was a pleasing result. Despite a very dry September, water levels of both large lakes and smaller salt water lakes remain very high, while other freshwater wetlands including the dam are low or completely dried out. The usual wetland species are mostly present in low to very low numbers, except for Chestnut Teal. Of the Interesting/notable sightings, the Brown Songlark noted by Will Morris on eBird has not been recorded in the park since September 2009; last month it was feeding in mown grass by the east bank of the Yarra River just south of Westgate Bridge. Other animals: One Brush-tailed Possum. Common Froglets heard in dam and wetlands near the Friend’s Compound. * seen at/along Yarra River only. Note: For species seen in large numbers, or for which accurate counting was difficult the number seen is rounded off to the nearest of tens or fives followed by a +. D- Denotes dependent young plus number of separate broods. 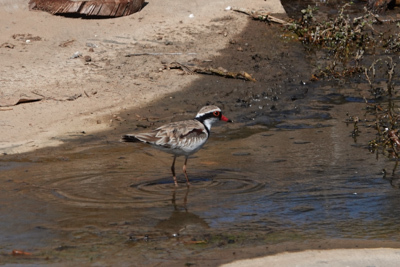 Habitat: Despite a very dry September, water levels of both large lakes and smaller salt water lakes are still very high, while other fresh water wetlands including the dam are low or completely dried out. Most of our usual wetland species are present but in low to very low numbers, except for Chestnut Teal. The Brown Songlark seen by Will Morris on eBird is a very occasional visitor to the park. 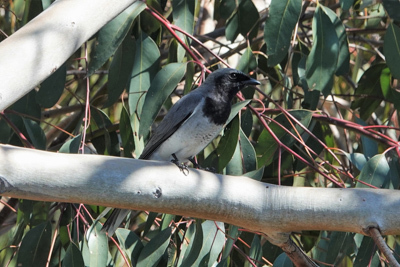 This bird species not recorded in the park since September 2009, was feeding in mown grass by the east bank of the Yarra River just south of Westgate Bridge.